Retire to Anthem, Arizona... located 34 miles North of downtown Phoenix on Interstate 17. Opened in 1998, it is a Del Webb master-planned community that currently has 40,000 residents. 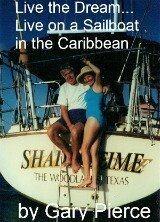 Unlike other Del Webb communities in Arizona, it is not age restricted and as such the person retiring to Anthem, should be aware of this and look at the lack of age restriction as a plus. Phoenix magazine recently rated Anthem as one of the best places to live in Arizona. It is currently an unincorporated city and is planned to be annexed the city of Phoenix in 2020. When you retire in Anthem, you will have many Del Webb floorplans to choose from. It is currently a buyers market as the Arizona real estate market has not recovered from the high price levels of five years ago. Building permits for new homes are up slightly currently, so hopefully the real estate market is bottoming out in Arizona. I admit I am prejudiced toward Del Webb communities, living in one... Sun City Grand in Surprise. 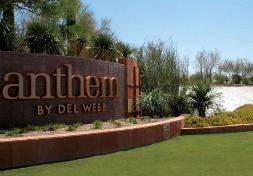 Anthem will not disappoint Del Webb fans, it is a self-contained community with all ages represented. Everything from shopping, schools and medical care is readily available for the residents of Anthem. Anthem has won many awards for livability, all of the recreational opportunities you expect from Del Webb are here...including two fine golf courses Persimmon and Ironwood...these are part of the Anthem country club portion of the community. Across the freeway there is a large factory outlet mall that gets our attention at a couple of times a year...buying workout clothes, gym shoes, etc. Nike Reebok are a few of the stores we patronize when bargain hunting at the outlets at Anthem. Of course Bend Oregon close to our summer home in the RV has the added advantage of no sales tax. In a short time, since opening in 1998, Anthem has established several traditions. Starting with Anthem days in April, a large community celebration featuring vendor booths, activities and live music. In May, every Friday night music is provided at the amphitheater... Bring your blanket and enjoy yourselves. There are also functions for Independence Day and Autumnfest. When you are retiring to Anthem, you are retiring to an active community that has all the amenities...there is room for you as well.